This valuable collection of essays reveals the insights of a brilliant soil scientist ahead of his time. In this The Albrecht Papers, Vol. 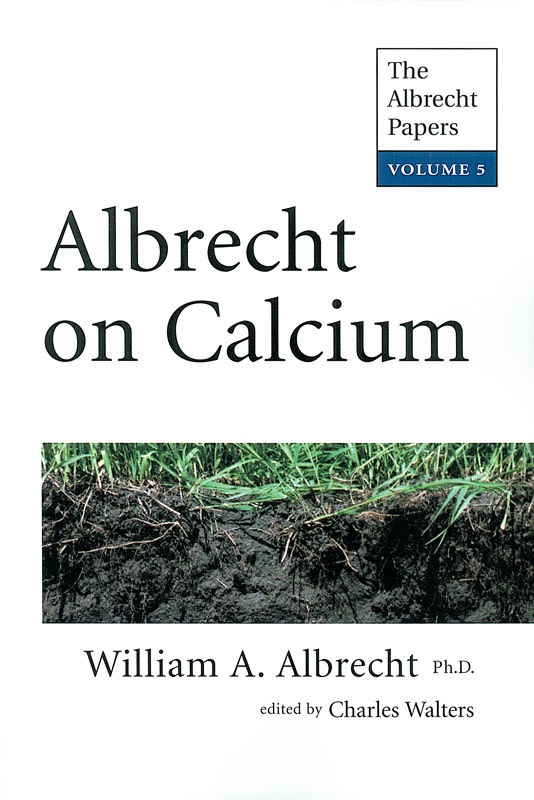 V, readers will find a carefully organized and convincing explanation of the relationship between calcium and soil fertility. It is not possible to discuss calcium, which Albrecht proclaims as the "King of Nutrients" without being led into the entire mosaic that Albrecht considers biologically correct farming. Albrecht's work provides an indispensable foundation for anyone interested in sustainable, ecologically responsible agriculture - his teachings are more critical today than ever.